The swearing-in or “making” ceremony installing Brett M. Kavanaugh as an Associate Justice of the Supreme Court of the United States was held in private. Nevertheless, some details have emerged. One person present may have had their iPhone on record. As often noted, this was the first time a sitting Justice (Justice Kennedy) was to swear in an attorney who had previously clerked for him. Of greater significance is the new language inserted into the ceremony by Donald Trump. What follows is a rough transcript reconstructed from the unverified recording and from personal recollections. It appears the private ceremony differed markedly from the second, public ceremony held later for the cameras. Present and participating were Judge Kavanaugh, Justice Kennedy, and President Trump. Judge Kavanaugh’s wife and children were also present, but were bound and gagged and wearing red pyjamas, in keeping with tradition. Selected guests were also present, but were camouflaged as eggplants and led in through a secret passageway. Trump [to Kavanaugh]: You’ve passed through many trials and tribulations, my friend. And while your breasts are not particularly large, your intellect is massive. I’m attracted to you as a jurist. That’s why I ultimately appointed you to the Supreme Court. I have faith that you will reach fair decisions, reciprocal decisions. Kavanaugh: Thank you, Mr. President. I couldn’t ask for a higher honor. Kavanaugh: A profound sentiment, sir. I am greatly indebted to you. Kavanaugh: I appreciate your confidence in me, sir. Trump: And sell we did, and found a lot of buyers among Senators. Tremendous Senators. Kavanaugh: Some of them were quite tremendous, yes, Mr. President. Trump: I personally made Susan Collins an offer she couldn’t refuse. Kavanaugh: You’ll tell me later, dear. Trump: As I was saying, you’re my brand of Supreme Court justice, the kind I can work with, the kind who remembers who his friends are. The kind who knows that 90% of success is having a rap and being provocative. Kennedy [interrupting]: Mr. President, if I may quote a line from It’s A Wonderful Life: Why don’t you kiss her instead of talking her to death? Trump: You have a point. Fat Tony wants us to get on with the ceremony, and he has a point. Trump: Now Brett, if you have any doubts or reservations, this is the time to say so. No one’ll think any less of you. Because once you enter this Supreme Court family, there’s no getting out. This family comes before everything else. Everything. Before your wife and your children and your mother and your father. It’s a thing of honor. Then, God forbid if you get lawyer’s block and can’t write opinions, we’ll take care of you, ’cause that’s part of it. If you got a problem, you just gotta let somebody know. Kennedy: This man right here, he’s like your father, except he’s orange. You got a problem with somebody here or on the outside, you bring it to him, he’ll solve it. You stay within the family. Trump: Alright, give me your hand. Trump: This is Saint Peter, my family saint. 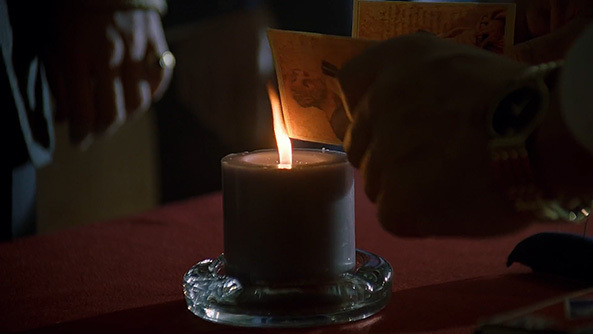 Now, as that card burns, so may your soul burn in hell if you betray your President. Trump: If I betray my President. Kavanaugh: If I betray my President. Kennedy: Congratulations! Welcome to the family. 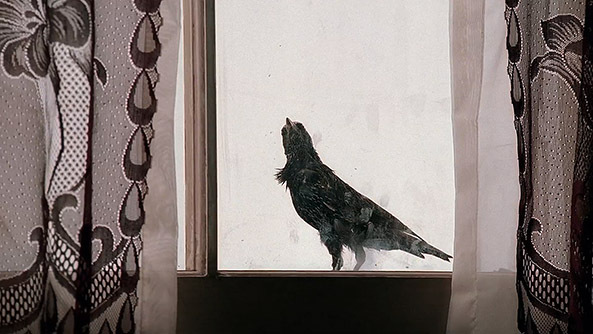 Mrs. Kavanaugh: Quoth the Raven “Nevermore.” Ark! Acknowledgements: Some portions of the dialogue were adapted from The Sopranos, Season 3, Episode 3, “Fortunate Son,” written by Todd A. Kessler.